We’re glad you can join us! 3) Purchase your 5Point Film Festival Pass for an evening of continuing inspiration. Ready for an adventure? 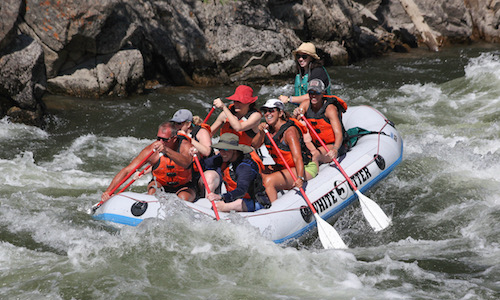 Jump in a raft with White Otter Outdoor Adventures and enjoy a morning of waves and epic scenery on the Salmon River near Stanley. We will leave Ketchum at 8 am, and finish rafting by 12:30pm. 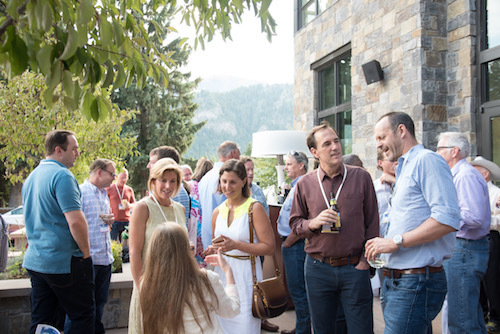 Either return to Ketchum (ETA 2:30pm) or — more fun! — join us at Pettit Lake for lunch and an afternoon of leisure, hiking, or any of the activities listed in Day at the Lake (at no additional cost, see more information under Day at the Lake). 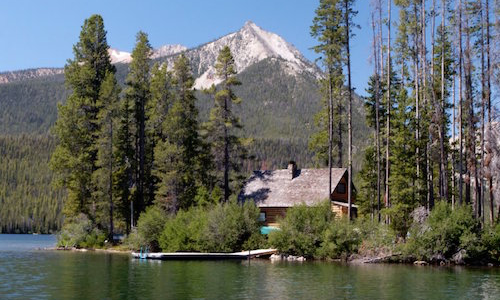 Come join us at beautiful Redfish Lake nestled in the Sawtooth Mountains 60 miles north of Sun Valley for a day of serene relaxation and/or rejuvenating activity. Rest and play with kayaking, canoeing, paddle boarding, hiking, mountain biking nearby, swimming, or simply rest and conversation. Lunch, snacks and beverages will be available at the Redfish Lake Lodge for purchase, and internet is also available. Come for part of the day or all day. Group transportation will leave the Limelight Hotel at 8am and 11 am and return by 5pm, and at various other times throughout the day, as will carpooling options. Free Adventure! 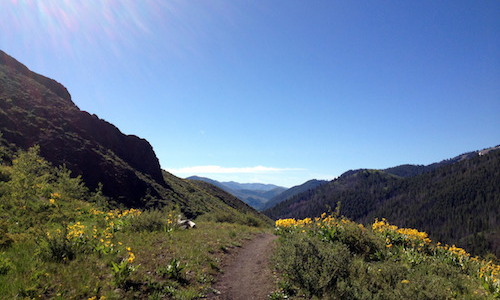 Join groups enjoying hikes near the Sun Valley Area for forays of different levels and lengths into the stunning scenery we are lucky to have at our fingertips. Come join us at Limelight Hotel Friday evening for the 5Point Film Festival, a sharing of stories of adventure that have the power to ignite positive change in our communities and our world. On the edge between desire and fear, between the known and unknown, is a place deep inside us all where the spirit is transformed — pushed beyond its limit by our deliberate commitment to usher in something new and original. In this soulful place we are catalyzed to learn, expand and engender newfound understanding to inspire others on their journeys. 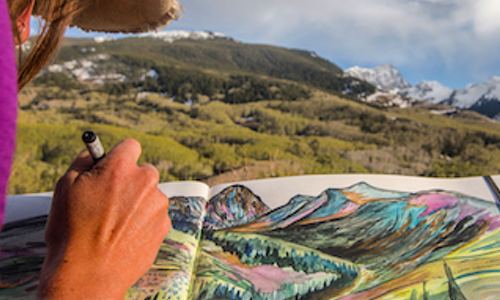 Through adventure, we find our best selves and encourage those around us to do the same. It is this spirit, this thirst for adventure that 5Point Film celebrates.